[TheBigWonderful Festival in Denver. Photo: thebigwonderful.com] TheBigWonderful returns for its 6th annual Colorado local celebration, held over the Kentucky Derby Weekend in RiNo. 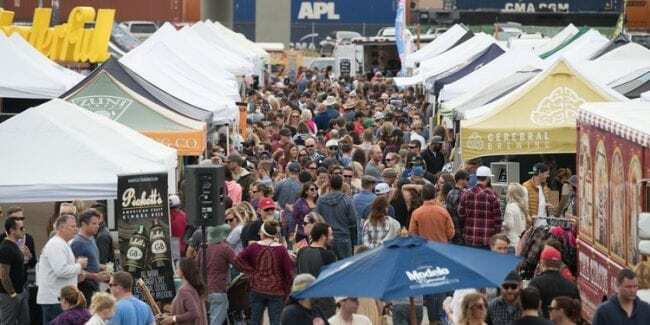 It showcases more than 100 local makers of fine Colorado products, as well as breweries, cideries, food vendors and live music. It’s held from noon to 6pm on Saturday and Sunday, May 4th to 5th, 2019. It offers affordable admission to one of Denver’s can’t miss festival weekends. The plethora of food trucks create a diverse mobile food court. In addition to a festival grounds full of shopping, food and beverage, there will be Kentucky Derby and Cinco de Disco dance parties! Kids activities are provided and lawn games to keep the family entertained. Another local festival happing over this weekend is Cinco De Mayo Denver, held in Civic Center Park and free to the public.